If ever there was a time of year to get an exciting event in the calendar for an inspiration boost; mid November is it! 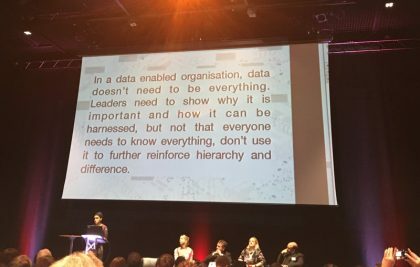 And the first Data4Good conference in Birmingham did not disappoint. Data4Good brought together data heroes from across the not-for-profit sector to explore what exactly ‘data for good’ meant to them. 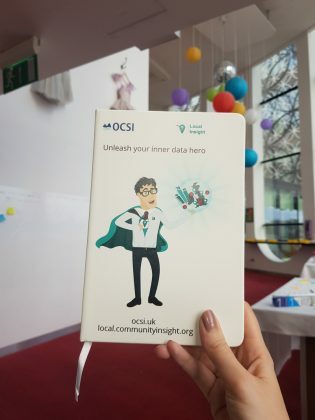 Data for good is the very essence of what we do at OCSI and thoughts are still buzzing around after a day of chatting with like-minded individuals. Here’s our round-up from the day. With so much data available at our fingertips, how can we be sure the data that we are using is trustworthy, reliable, and the most appropriate information for our work? This cropped up a few times throughout the day – and something we think about a lot when adding new indicators to Local Insight. Who collected and produced the data? Does the data come from a reputable and well known source? Is there any possible agenda that the data publisher has? Has the publisher provided any details of their methodology? Or any information on the reliability of the indicators (e.g. confidence intervals)? 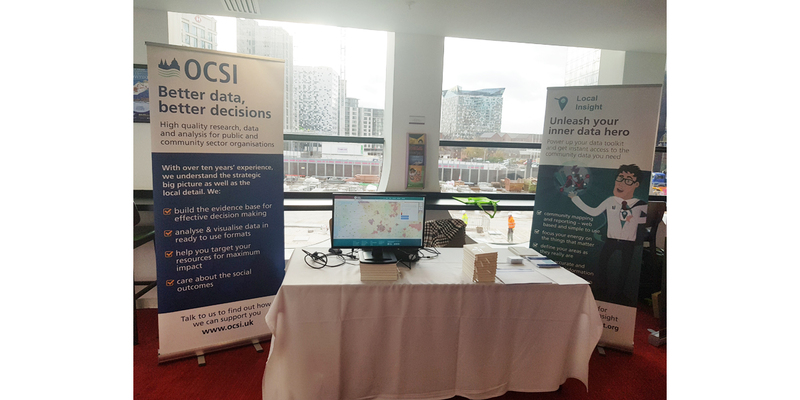 Are you able to contact the data publisher to ask any questions you have on what it can and can’t be used for? Can you make comparisons over time? If seeing change over time is a necessary part of the narrative you wish to build, you may need to check that data for multiple time-points is available. Lots of government open datasets are published monthly (e.g. unemployment data from DWP). Others are published much less regularly, or as a one-off releases(e.g. Prevalence of loneliness data from Age UK). Is the data out there fit for your purpose? Is it available in a useful format (e.g. an editable CSV document)? Is it available at a small enough geography for it to be useful to you? Is it available for all areas you are interested in? Can you access the raw data? Are there any licensing issues with the data? During one of the workshop sessions on Evidencing Impact, the importance of considering why you’re measuring, collecting, recording, publishing data was discussed. The message we came away with was: if it’s not of use or isn’t going to be used to drive behavioural change – drop it. Having a clear rationale and (set of) question(s) that you want to answer using the data can help you see the wood for the trees (or see the wood for the CSVs if you get my drift…). Perhaps the biggest takeaway from the day is just how much is going on within the sector – and the wealth of resources and knowledge that is already available. A few resources and tools that were mentioned in conversations and sessions we took part in throughout the day below. London Datastore: A data sharing portal where anybody can access information about the capital. ONS geography portal: Provides lookups and other resources to help make sense of Output Areas and other administrative geographies. 360Giving: Supports organisations to publish their grant-making data, as well as help organisations use the data for evidence-based decisions. Superhighways: Offers advice, training and IT support to help small charities and community organisations across London. Keep your eyes peeled in the New Year for an evolving resource page for tools & tips for those working with data for social good. Sign up to our mailing list to be kept in the loop with this and other data related delights. You can also sign up a free trial of Local Insight, for instant access to more than 800 local level socio-economic datasets, aggregated to the communities you care about. Here’s hoping Data4Good becomes an annual event!